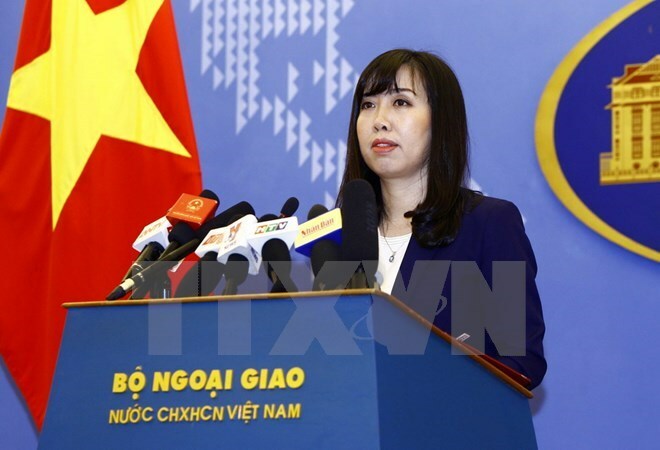 Hanoi (VNA) – Any violations of law in Vietnam are strictly punished in conformity with the country’s legal regulations, Foreign Ministry Spokesperson Le Thi Thu Hang has said. She made the statement at a regular press conference in Hanoi on August 3 in response to reporters’ query about Vietnam’s recent apprehension of some individuals. The arrestees had the signs of infringing upon Vietnam’s laws, Hang said, adding that the investigations have been conducted in accordance with the country’s criminal procedures.